For the second time in 3 years The Whisky Exchange have won the International Spirits Competition award for Best Independent Retailer, as voted for by the drinks industry. 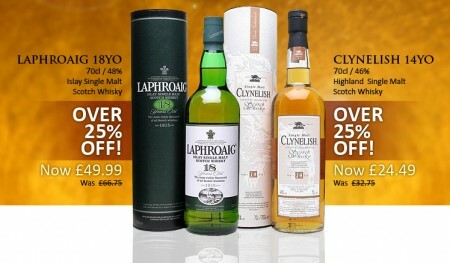 So to celebrate the joy with all of us they are doing a really interesting offer: -25% off from Laphroaig 18 years old and -25% off Clynelish 14 years. This great offer will last only one week so hurry up.